Fall weather is officially here in Texas, and Thanksgiving is less than a month away. 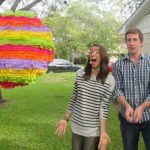 I put together a list of 21 Thanksgiving crafts to get us in giving spirit! 1. These brown bags turned placemats are a fun, casual addition to any Thanksgiving dinner table. 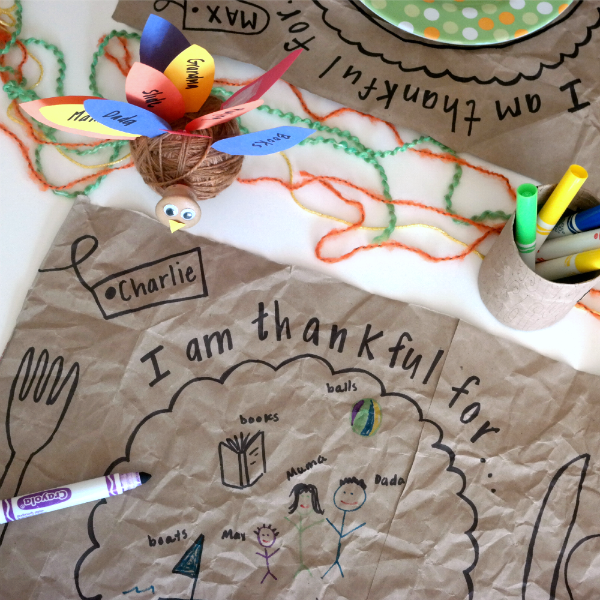 See the full thankful placemat tutorial on C.R.A.F.T. 3. 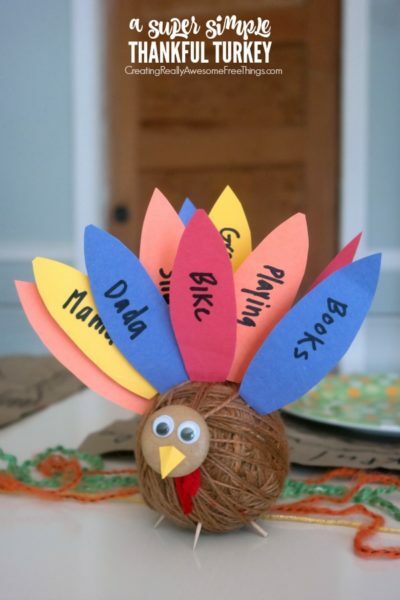 Turn a yarn ball into an adorable thankful turkey. Best part? Use it as a way of teaching the littles about gratitude. See the full thankful turkey craft at C.R.A.F.T. 4. 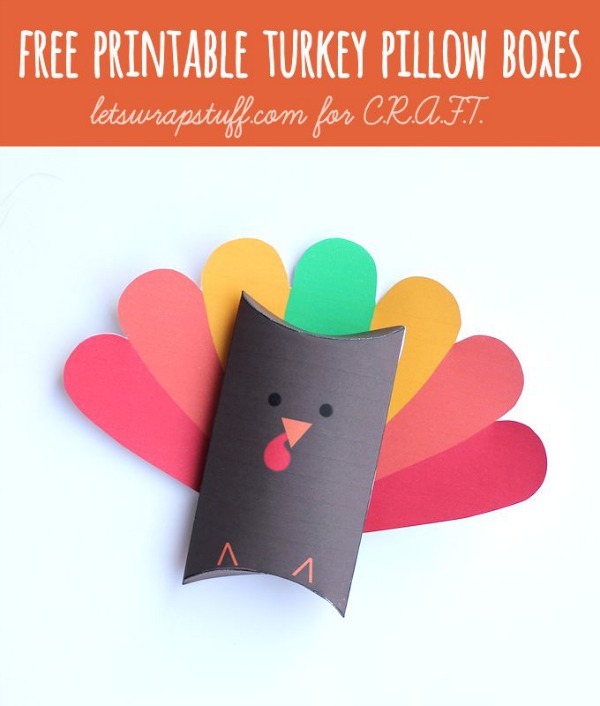 Free printable turkey pillow boxes are the perfect addition to the Thanksgiving dinner table. 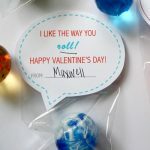 Print, cut, assemble, and add a candy treat! Get the free pillow box turkey printable on C.R.A.F.T. 5. 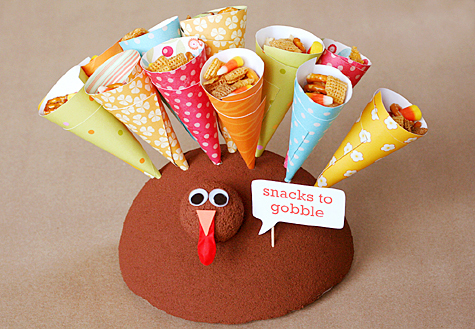 Here’s a fun up-cycle turkey craft! 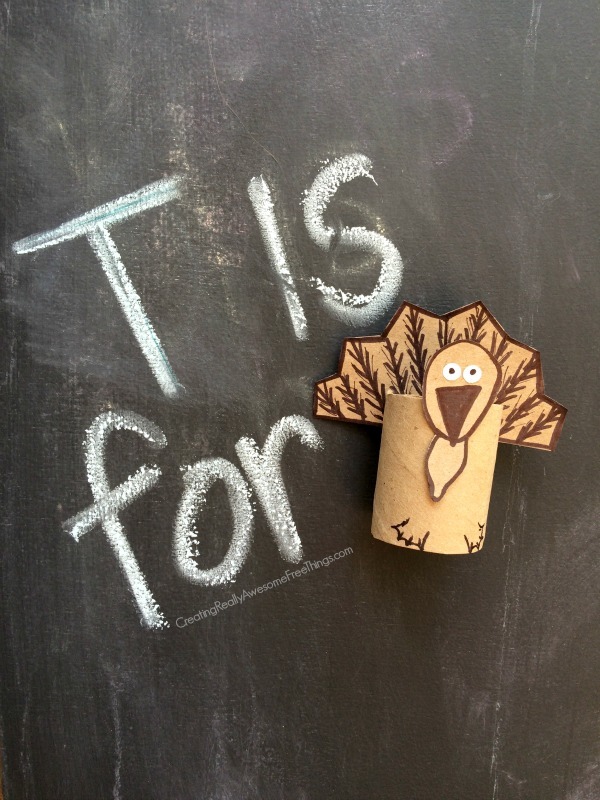 Turn a few used toilet paper tubes into turkeys! Add popsicle sticks to create puppets or use them as to decorate the mantle or kids table at Thanksgiving! See the details toilet paper tube turkey craft tutorial at C.R.A.F.T. 6. 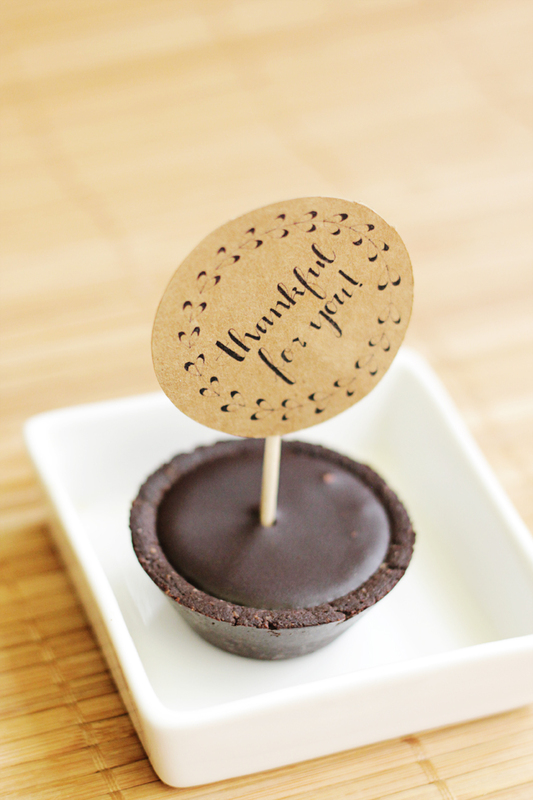 These “Thankful for You” dessert toppers are the easiest way to spruce up a simple batch of brownies or any other yummy treat! 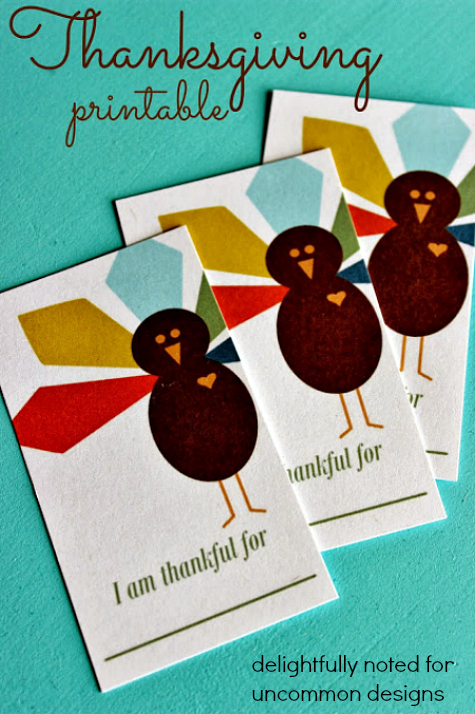 There is also a card version of the Thankful for You printable. Get the free Thankful for You printable on C.R.A.F.T. 7. Turkey toes anyone? A sweet treat to share with friends, teachers, neighbors or the mailmen! 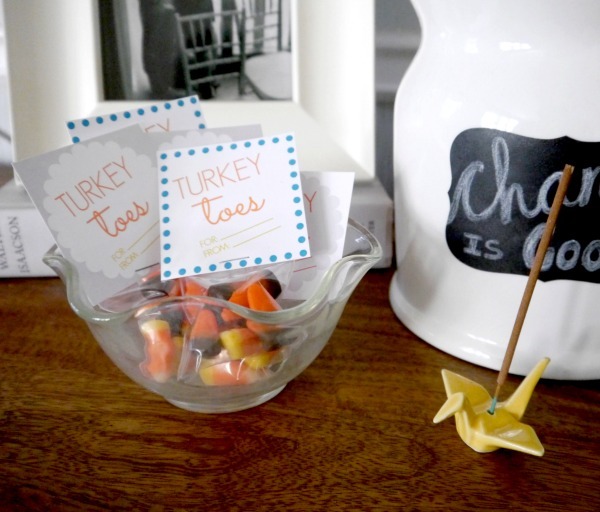 Get the free “Turkey toes” printable on C.R.A.F.T. 8. 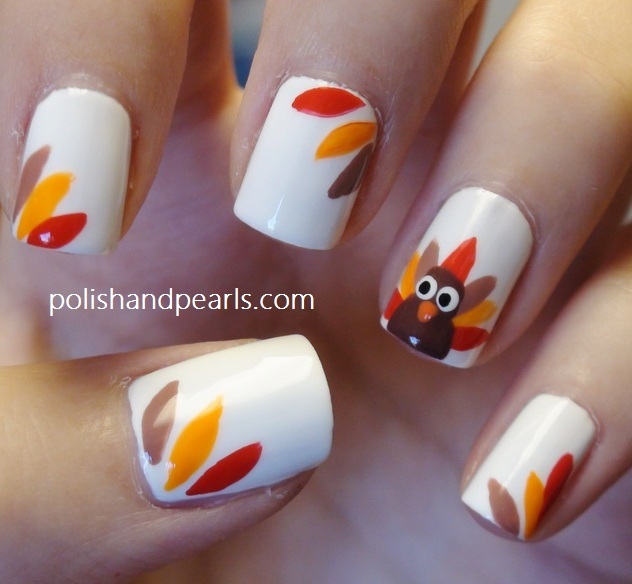 Thanksgiving Day nails don’t get more festive than this! These nails were oringially from Polish and Pearls, but as of this post, that sight does not exist anymore. 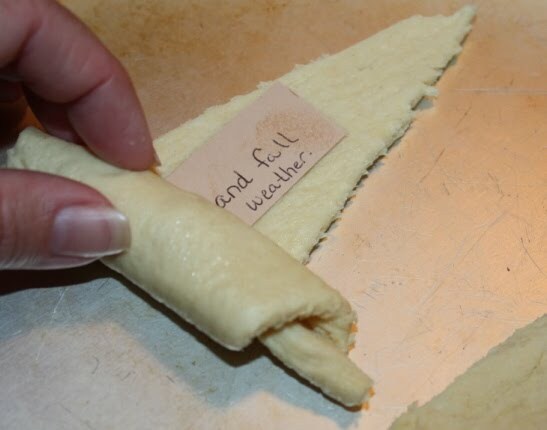 there is to be thankful for amake a Thanksgiivng dinner I love the idea of adding a note about what each dinner guest is thankful for to pre made dinner rolls. What a simple reminder of all of the things Here are tips and tricks to maek the perfect gratitude rolls at From Glitter to Gumdrops. 10. Thumbprint turkey’s are always a good idea. This image oringially appeared on Silly Eagle Books, but as of this post, the site does not exist. 11. 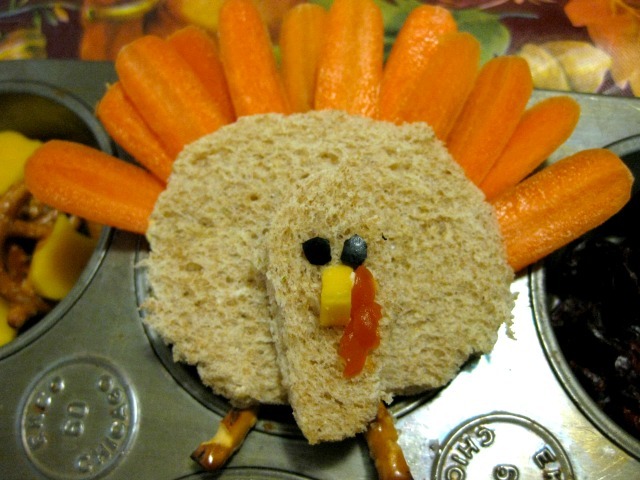 Turn a boring turkey sandwich into a super sandwich with a round cookie cutter and some carrots! See the full turkey shaped sandwich tutorial at Mom Endeavors. 12. Here’s a corny treat! Turn sugar cookies into corn on the cob with fruit roll ups and M&M’s! See the full corn cookie tutorial at Making Memories. 13. 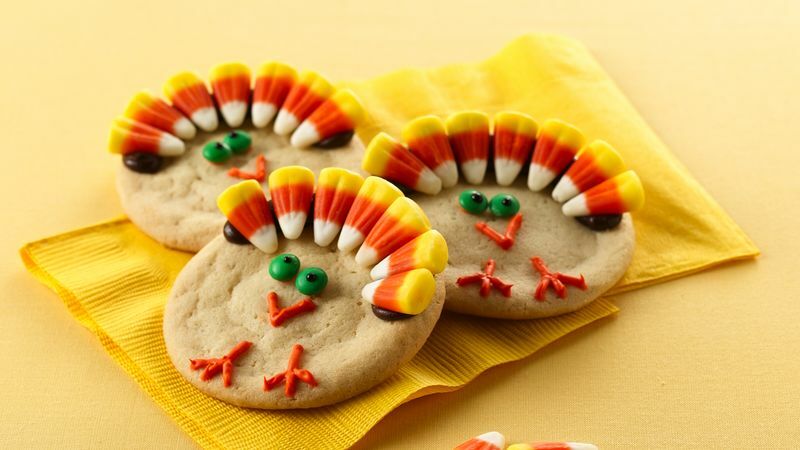 Turn store bought sandwich cookies into handmade turkey masterpieces with a little melted chocolate and candy corn! See the complete tutorial at Lizard and Ladybug. 14. 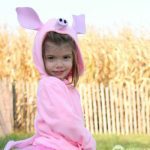 These are hands down the cutest Thanksgiving day t-shirts for kids! 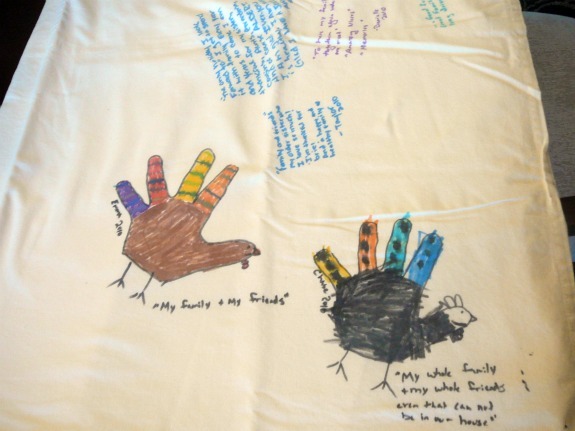 Learn how Randi made the turkey t-shirts at Dukes and Duchesses. 15. Sugar cookies turned turkeys. Easy and delicious! See the complete candy decorated sugar cookies at tbsp. 16. Lisa Storm crafted up this adorable turkey snack stand from a simple styrofoam ball. For details check out Lisa Storms. 17. 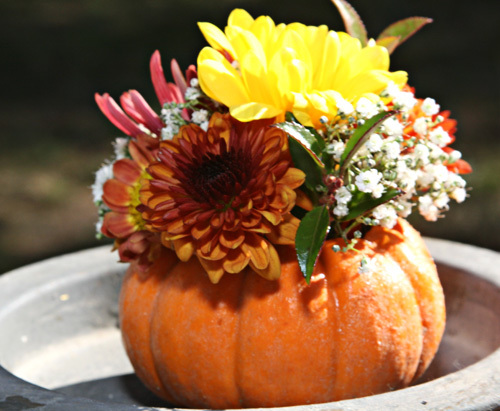 Turn a simple pumpkin into a beautiful center piece. For details, check out The Pennington Point. 18. 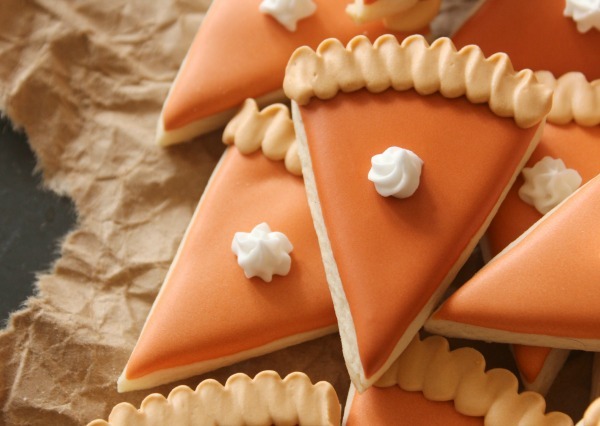 This is perfect for the folks who do not love the taste of pumpkin pie because I can assure you that you will like the taste of pumpkin pie shaped sugar cookies. For complete tutorial check out Sugarbelle. 19. 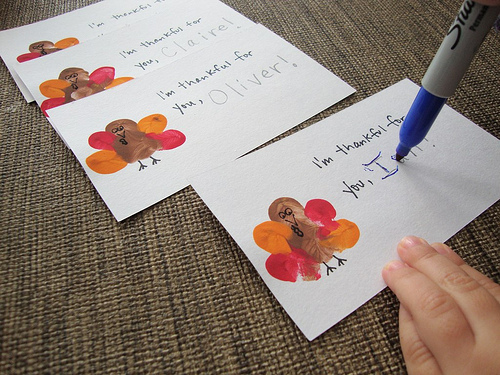 Print out a few of these cute notes to encourage Thanksgiving dinner guests to share what each is thankful for. Get the free printable at Uncommon Designs. 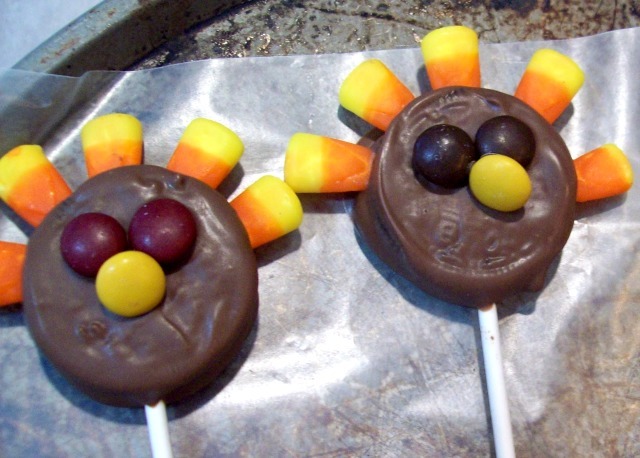 Psst… Here are 19 edible turkey crafts. 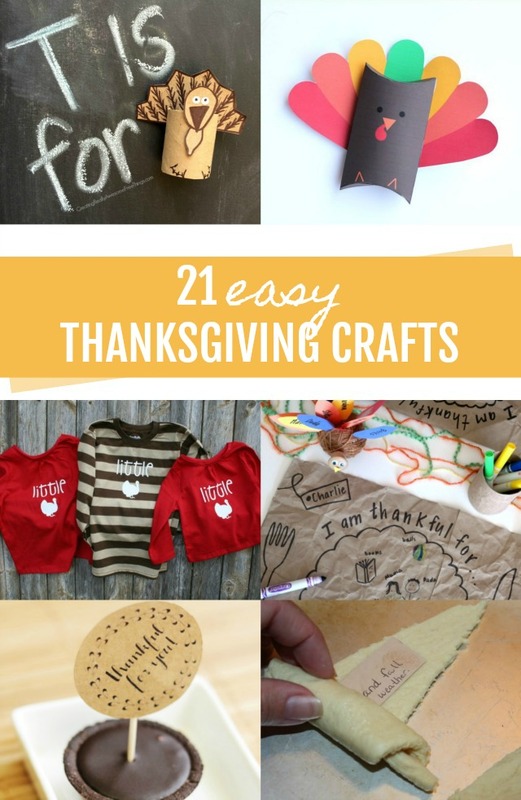 Perfect for crafting with the kiddos, classroom crafts, or Thanksgiving dinner ideas! Thanks so much for making Monday even more marvelous and featuring the turkey sandwich! Have a happy Thanksgiving!! 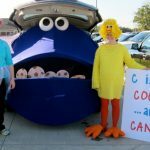 Thanks for featuring my turkey shirts! Happy Thanksgiving! I was coming back to check out all the new ideas and saw my hurricane glasses were feaured!! Thank you!! Such a nice surprise! Love you blog! Thank you for hosting your party each week!! Those apple pie bites look delish!! Thank you so much for posting my Thankful Tablecloth! Your centerpiece wasso eyecatching! I work with a group of clientle that I believe would find this very therapuetic. Is beautiful! 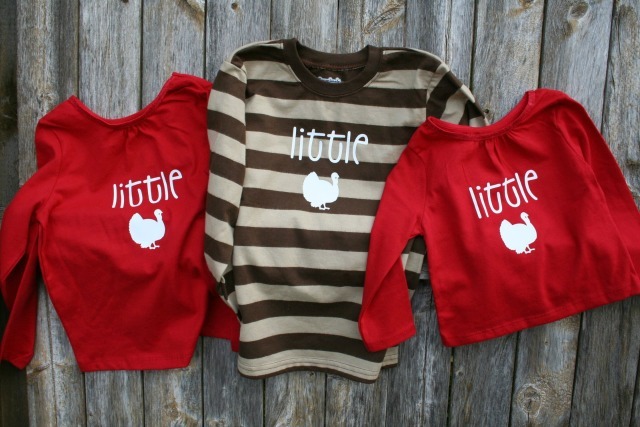 You’re so awesome – thanks for sharing my little turkey shirts!